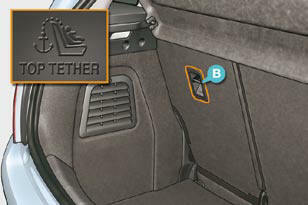 - a ring B , behind the seat, referred to as the TOP TETHER for fi xing the upper strap. 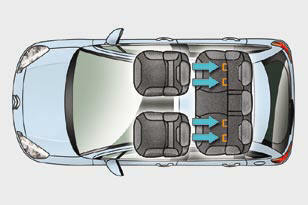 This ISOFIX mounting system guarantees you fast, reliable and safe fi tting of the child seat in your vehicle. 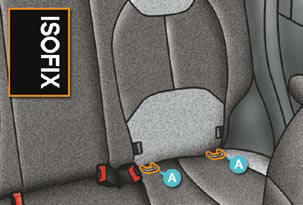 The ISOFIX child seats are fi tted with two locks which are secured easily on the two rings A .